I can't believe they're not pancakes! 1/3 cup pumpkin puree (canned puree is hard to find in Aus...you can steam a batch then blend smooth, though I usually buy organic pumpkin puree online via iHerb.com). You can also replace this with sweet potato or carrot puree. Simply pop all of your ingredients into a blender! If you have the time/patience and want to be super fancy, whip up the egg whites in a bowl until they're fluffy, blend the remaining ingredients and fold them into the whites. Cook each pancake until bubbles start to pop on the surface, then flip and cook for another minute or so. Watch the heat - you might need to adjust if the bottoms are cooking too fast to avoid rubbery pancakes. 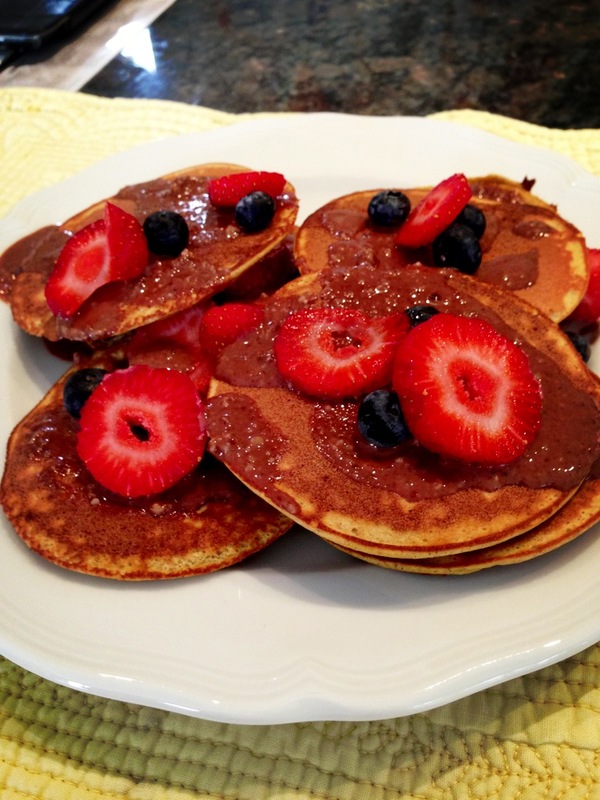 Drizzle with organic maple syrup or my choco-nutty sauce, sprinkle with berries and voila! Fresh lemon juice and granulated stevia also work a treat on these. *Whey protein powder can be a bit rubbery if you're not careful. If you're concerned, you can decrease the whey powder to 20g and add a tablespoon of coconut flour or almond flour. If you're not gluten intolerant** and want to up the carb count, you could add a tablespoon of finely chopped oats in place of the flour. **Oats aren't naturally packed with gluten, it's more in the rolling/processing of the oats where they pick up gluten from ingredients on the same belts in the factory. You can buy gluten free oats that have zero trace of gluten.